Having launched its most powerful and greatest handheld in the form of Nintendo Switch, Nintendo has yet again returned to the 2DS/3DS ecosystem. Having achieved some success with its affordable and 3D-less Nintendo 2DS handheld, and an ultimate level of refinement with 2015’s New Nintendo 3DS XL, Nintendo has seen fit to combine the best of both worlds with its latest device, the New Nintendo 2DS XL. It was unveiled after the Nintendo 3DS XL release date. With the release of the New Nintendo 2DS XL, a larger, more practical version of the 2DS handheld, Nintendo has set an example as to how to make a 5-year-old handheld feel new again. 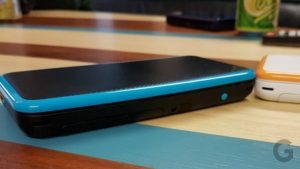 By combining many of the signature features from generations of the 3DS family of consoles, it gets to the heart of what makes the 3DS great. 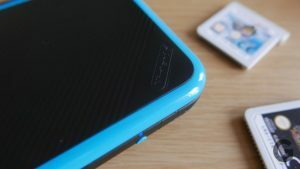 You can find out more about the design, features, battery, price range and more in the New Nintendo 2DS XL Review and Specifications. It works great with all 3DS games. It has a nice console design. It's SD and cartridge slots are accessible but protected. It has a big screen. It has a massive back catalog of games. It doesn't have the longest battery life. Its screen isn't the brightest. It has a low-res screen which looks ancient compared to the Switch. The New Nintendo 2DS XL is more of a reconfiguration of past 3DS devices than a completely new console. The 2DS element, which is naturally derived from the original Nintendo 2DS, a console that plays Nintendo 3DS games albeit without the 3D effect. The XL component means the screens are 82% larger than the standard non-XL Nintendo 3DS and Nintendo 2DS models. With the launch of a new entry in the range, it’s clear that Nintendo hasn’t given up on the ecosystem. There’s a decent number of new titles on the horizon, most recently shown off at E3 2017, and a strong back catalog of certified classics. 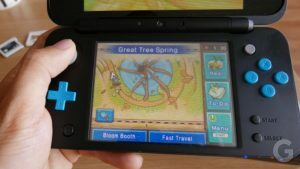 There are a number of Nintendo 2DS XL apps which makes the New Nintendo 2DS XL arguably one of the best handhelds you should go for. The New Nintendo 2DS XL Design has gone back to the classic clamshell design which makes for not only a more portable design but one that keeps the screens safe from scratches when you throw the portable console into a bag or your pocket. The black with turquoise accents or white with orange accents that are the two choices of colors available in the 2DS’s line of handhelds. Its top has ridged plastic that gives a bit of texture and helps make the console feel less like a toy. The feel of the console is important because there was the potential for it to feel a little cheap as it’s shed some weight compared to the 3DS XL. However, it feels nicely balanced as the weight is predominantly distributed through the lower portion. The general layout of the New Nintendo 2DS XL has changed somewhat. The stylus and headphone jack are now placed on the bottom. 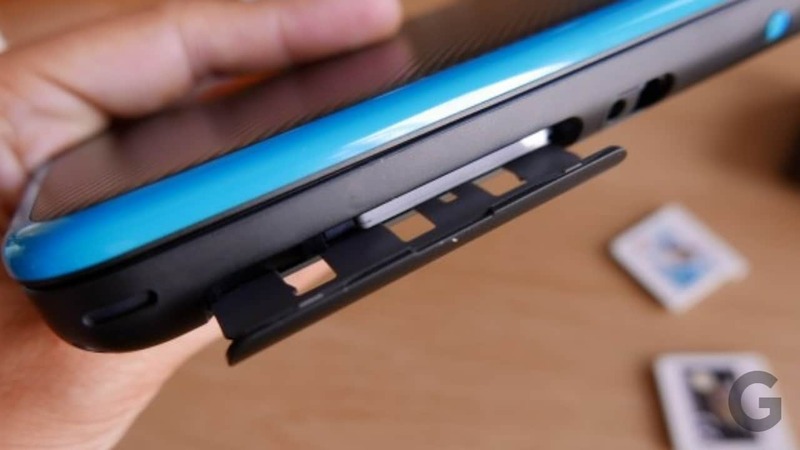 Next to these is a flap that conceals both the microSD slot and the game cartridge slot. In terms of size, the New 2DS XL is only slightly smaller than its three-dimensional counterpart. It is 6.4-inches tall while open and 3.4-inch tall while closed. This is likely due to the unit’s lack of 3D functionality, which would’ve made that top display slightly chunkier. The top screen now has a much smaller bezel. This is because the front-facing camera and mic have been moved down to the hinge, which is probably another reason why it now sticks out. The New Nintendo 2DS XL features the same faster CPU that was introduced with the New 3DS XL. This means apps and games will launch faster, and some titles will even experience quicker loading times. Also, some newer 3DS games will only work on ‘New’ branded systems. 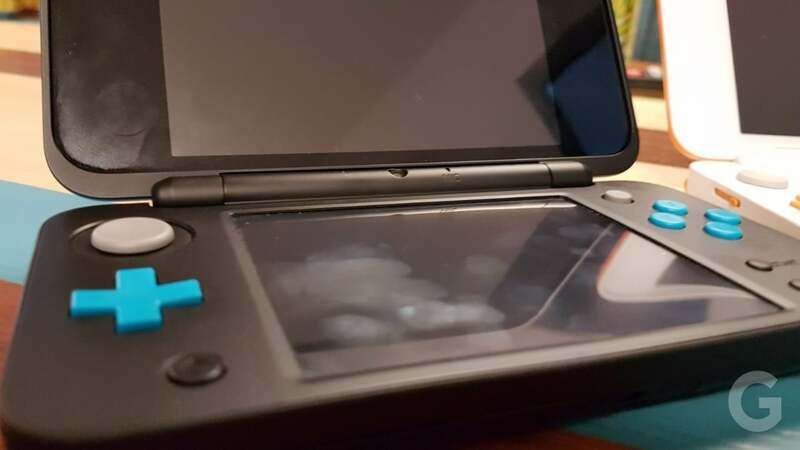 Its clamshell design is another feature of the 2DS XL. 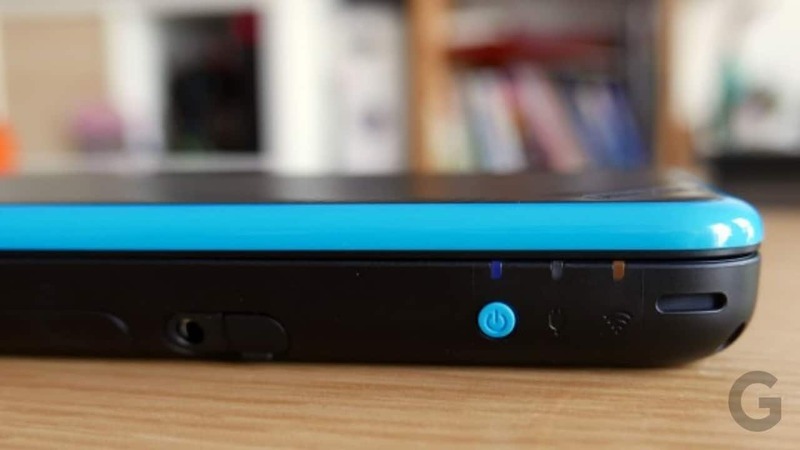 The handheld’s UI is identical to other consoles and, aside from the 3D feature, it can play any 3DS game at the same fidelity as the New Nintendo 3DS. That includes the console’s ancillary features, such as backward compatibility with Nintendo DS and DSi games; an NFC reader for Amiibo support; and a camera capable of taking 2D or 3D photos. Another thing that feels weird to describe as a feature but must be, due to it being the main point of difference between this and the New 3DS XL is the fact that the New 2DS XL, as the name would suggest, only displays in 2D. This not only brings the price of the unit down dramatically, but it also contributes to the thinness of the top screen. 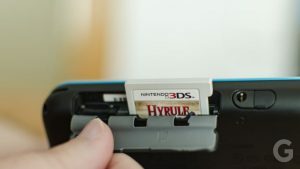 It’s also worth noting that few 3DS games these days are actually designed with 3D in mind, making the 3D aspect of the console something that most owners will rarely use. Without games taking advantage of 3D camera perspectives as Super Mario 3D Land did, the only 3D you’re getting is a slight separation of foreground and background elements. Still, given the vast 3D improvements introduced with the New 3DS XL, including a front-facing camera that tracked your head for a more accurate and responsive 3D experience, it’s a bit of a shame that Nintendo’s latest handheld has dumped the feature entirely. If that kind of thing is important to you though, the New 3DS XL is still readily available. This new handheld, however, is clearly intended as a cheaper alternative for those people who don’t care about 3D gaming at all. In that sense, the New Nintendo 2DS XL certainly delivers. 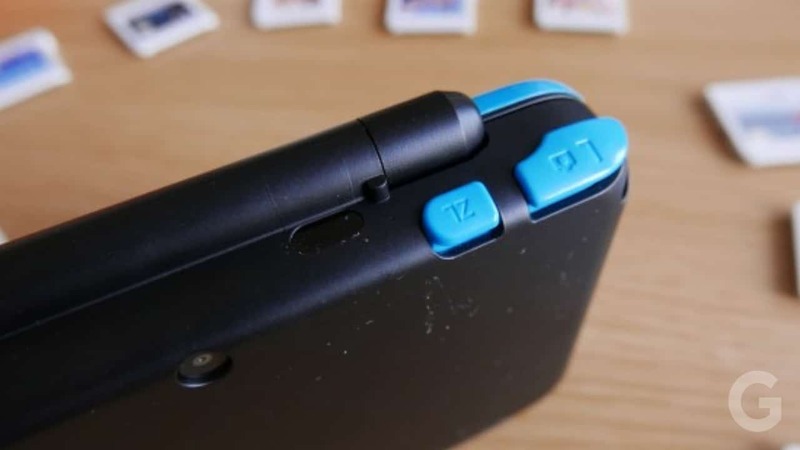 One of the very few features missing in the Nintendos’ devices is the Bluetooth feature. It’s always been about the games with Nintendo, especially when it came to handhelds. The New Nintendo 2DS XL Battery life is around 3.5-7 hours depending on the usage. If you use the handheld too much then you cannot expect it to last for around 6-7 hours. If you use the device to its optimal use then you can expect it to run for around 5-7 hours. If you increase the Nintendo 2DS XL screen brightness to the maximum level then you can expect the battery to drain out in 1-1.5 hours to 25%. If you are wondering how long to charge 2DS XL then the answer to that is probably around 3-3.5 hours. With more conservative brightness and headphones use, it’s possible to get much more stamina. 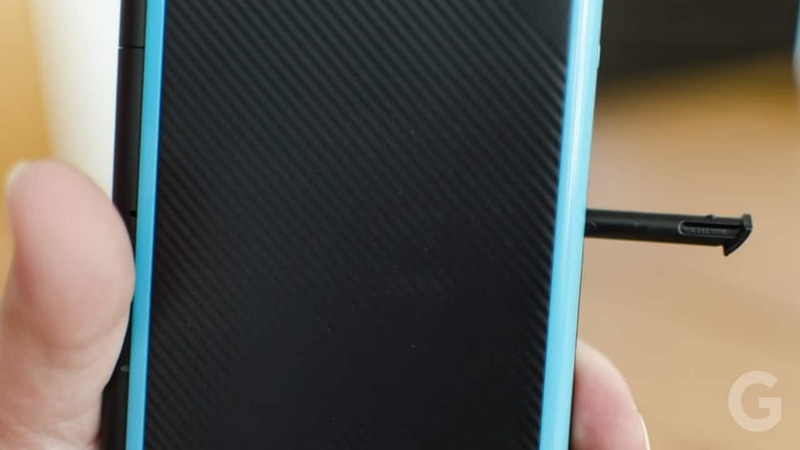 You will be pleased to know that the device comes with a charger and a charging cable. 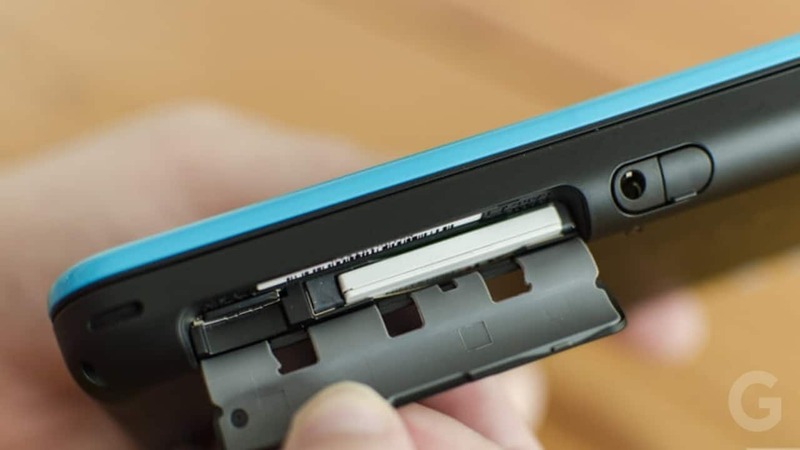 This seems a silly thing to proclaim merrily, but bafflingly the New Nintendo 3DS didn’t come with a charger and you had to instead buy one separately. Now you’ll have one less thing to worry about. The New Nintendo 2DS XL Price is around $150. If you want an additional 3D feature inclusive of all the other features of the 2DS XL, then you can pay extra $50 and go for the New Nintendo 3DS XL. However, if you wish to change the entire console and go for a more powerful one then you can for the Nintendo Switch. If you wish to get other accessories then you can even go for the Nintendo 2DS XL bundle deals. 🏆 If you have used or if you are using this gaming console, please leave your New Nintendo 2DS XL review in the comments below and help our readers choose.